Diabetes Meal Planning Made Easy takes the guesswork out of planning meals by teaching you how to eat healthy, one step at a time. A perennial bestseller from the American Diabetes Association, this book has sold more than 80,000 copies and been the go-to diabetes nutrition guidebook for more than 20 years. 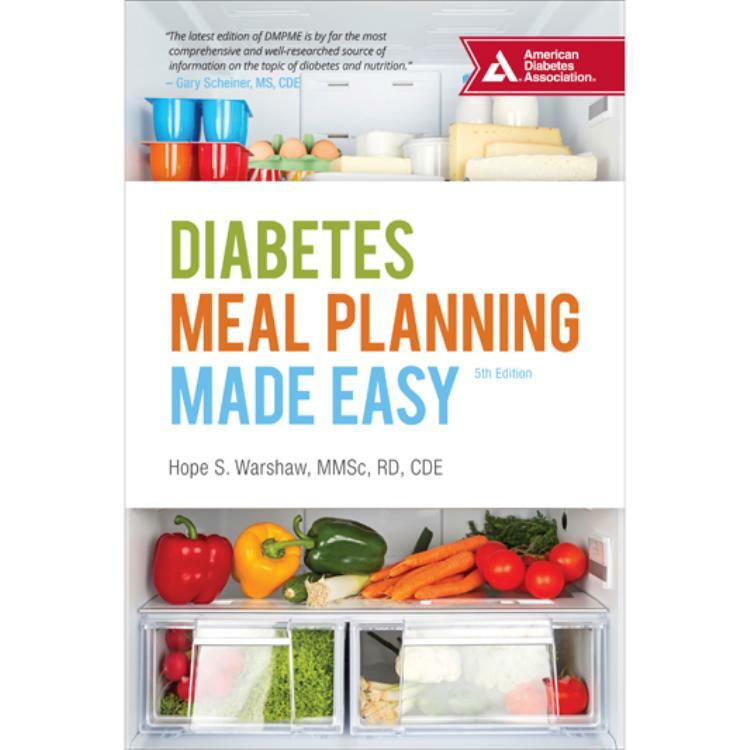 Diabetes Meal Planning Made Easy teaches people with diabetes how to adapt family-favorite recipes into healthy dishes; strategize to make healthy eating easier, lose weight effectively keep it off; and expertly control portion sizes. Updated food lists for comprehensive meal planning. Completely reorganized content for easier learning and navigation. From what to eat, to the practical skills of shopping, planning, and preparing healthy meals, the 5th edition has been streamlined, updated, and improved to help personalize the healthy eating plan that's right for you.